SCUA recently provided archival footage for the producer of The Magician, a documentary film celebrating the influence of Bill Dellinger, the legendary UO track and field coach. The premiere is on Friday, September 21st at Mac Court from 7pm-9pm. The event is free and will feature guest speakers, a raffle, and a no host bar. Learn more about the film’s creation and the premiere in this recent KMTR interview. Produced by Travis Thompson of Elevation 0m, the film incorporates interviews with former student-athletes and members Dellinger’s family. 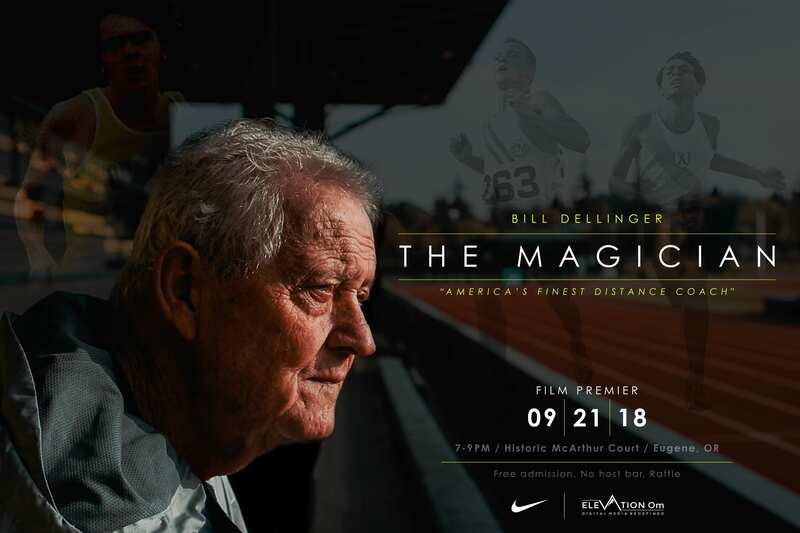 Interwoven are clips of archival footage of Dellinger competing and coaching. SCUA provided this footage from various collections, including KEZI-TV/Chambers Communications Corp records (Coll 427). 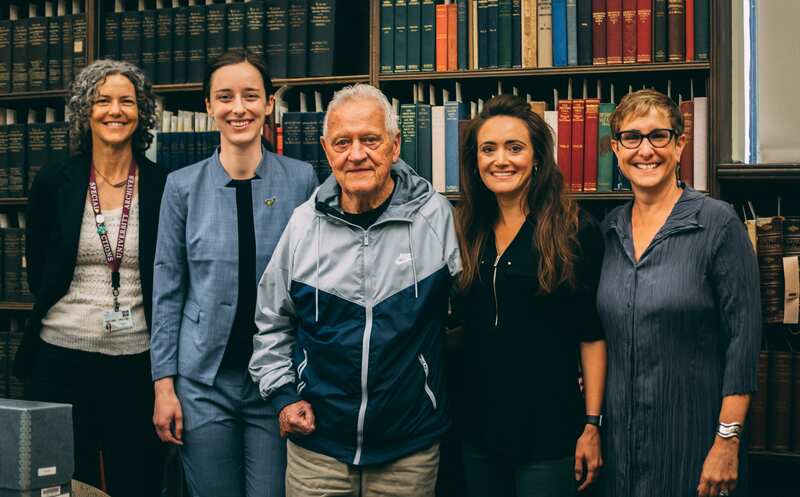 Earlier this summer, the UO Libraries had the honor of hosting Dellinger and his grandson, and showed them selections from our various athletic collections.